NovoPsych software is FREE to start using today! Thousands of mental health practitioners have signed up so far. Join them now for free! Use NovoPsych for free, with no time limits. 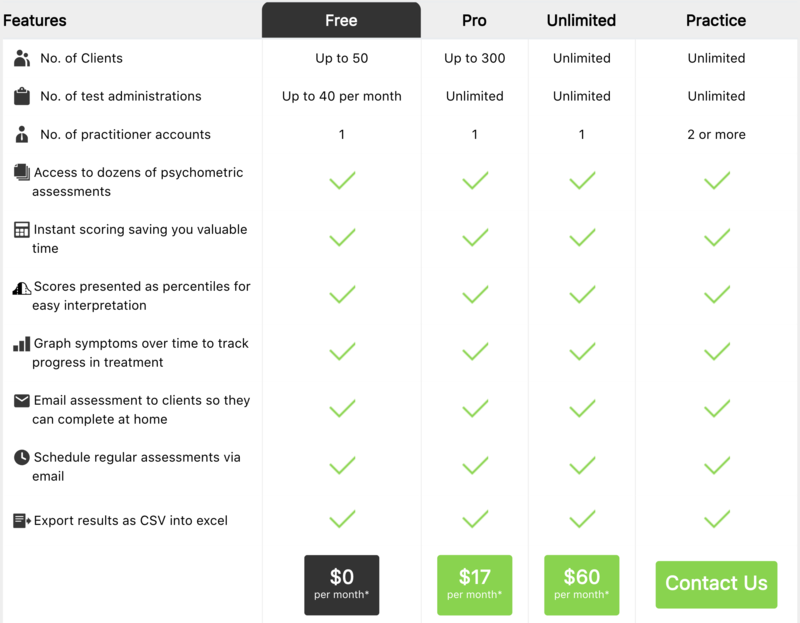 If you want to integrate NovoPsych into your practice more fully there are a number of paid upgrade options you can choose from. For details see below. You can also download NovoPsych’s acclaimed iPad app for free. The companion iPad app is ideal for those with iPads as it provides extra convenience and security for clients taking assessments in your office. Account data is synchronised across the iPad app and the online software.